The shampoo bar contains Brahmi powder which is a traditional remedy that is known to make hair thicker and nourished and also brings relieve to itchy scalps, promotes overall health of the hair, prevents split ends, reduces hair loss and dandruff. It also contains Castor oil which has antibacterial and antifungal properties high in Vitamin E, minerals, proteins and Omega 6. Almond Oil adds silkiness and shine to your hair and nourishes the scalp. 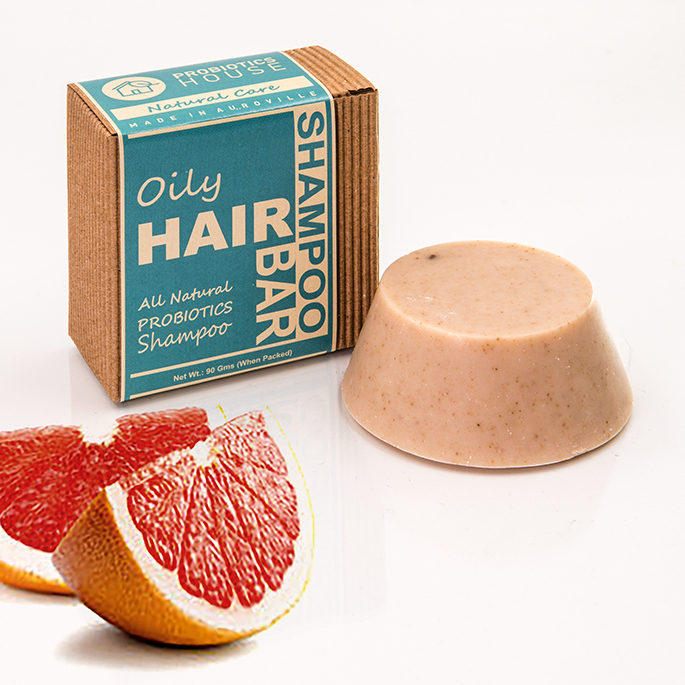 This shampoo bar will bring your hair beauty and makes it soft, beautiful, radiant and thick. It is best for maintaining the health of both scalp and hair. It is high in vitamins A, C, K and D, along with other antioxidants that are important for hair growth.